While stone is a hard, durable surface, it’s from the Earth and very susceptible to various elements and wear and tear. 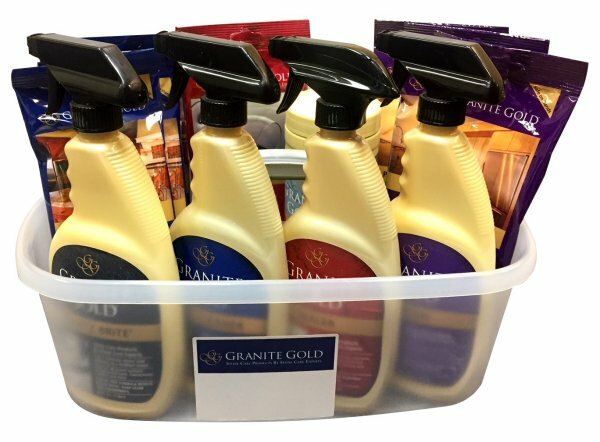 This giveaway from Granite Gold® features everything you need to safely clean, seal and polish the natural-stone and quartz surfaces in your home, ensuring their durability and beauty for years to come. Created by stone care experts with more than 50 years’ experience, Granite Gold® brand stone-care products are the safe alternative to ordinary household and multipurpose cleaners, which can damage natural stone and lead to costly repair or replacement. For more information on Granite Gold’s latest offerings, tips and natural stone trends, tune in to the Stone Care Blog and keep up with the brand on Facebook and Twitter.